Forged in the secretive world of covert operations, Unlocking Secrets uses real crime and practical examples to reveal the new frontier in interpersonal communications: advanced psychological skills. Thanks to this book, these skills can now be used by anyone who wants to improve their interpersonal and communication repertoire. In Unlocking Secrets, David Craig has simplified the psychological methods used so effectively by criminal investigators and covert operatives to persuade others to reveal their secrets. He shows how these skills can be easily applied to benefit in everyday professional and personal situations. These secret-revealing techniques subtly influence people to share hidden information, and may assist people working with patients, clients, children, or friends who carry a difficult and burdensome secret. They can also be used to improve business knowledge, as well as to initiate and enrich personal relationships. 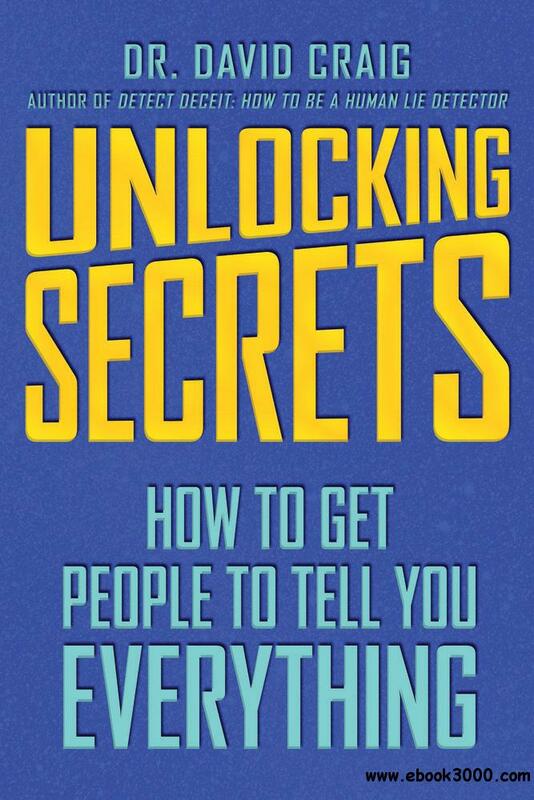 Unlocking Secrets will arm people with the latest interpersonal skills to enrich their personal life and advance professional careers.